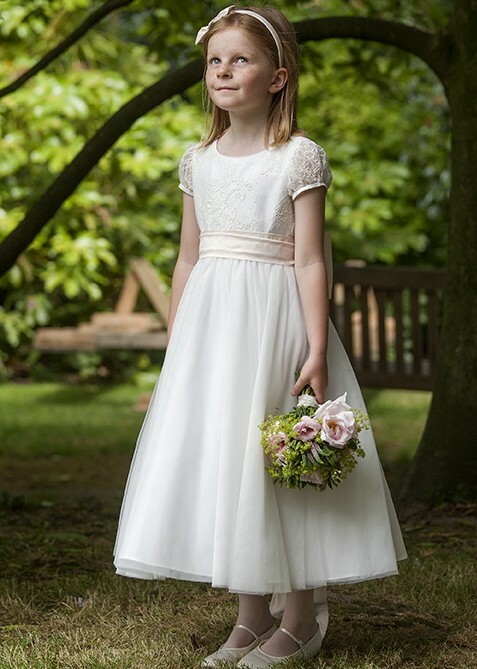 This beautiful flower girl or party dress has a delicate lace bodice with lace sleeves, a silk sash and a tulle skirt. Also comes with a generous integral petticoat and silk covered buttons. Available in white or ivory with a choice of sash colours.